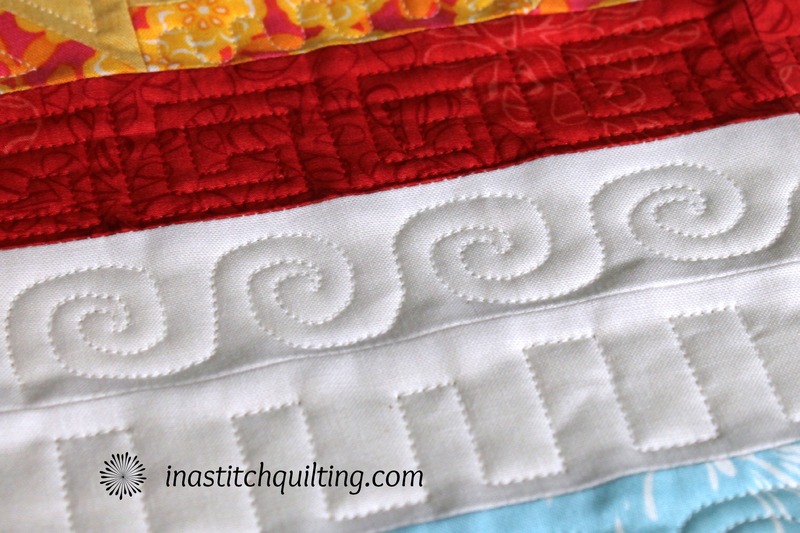 If your quilt measures 65 x 80″ you will be charged for a piece that measures 75 x 90”. The 75” is a combination of the quilt’s length plus ten inches. 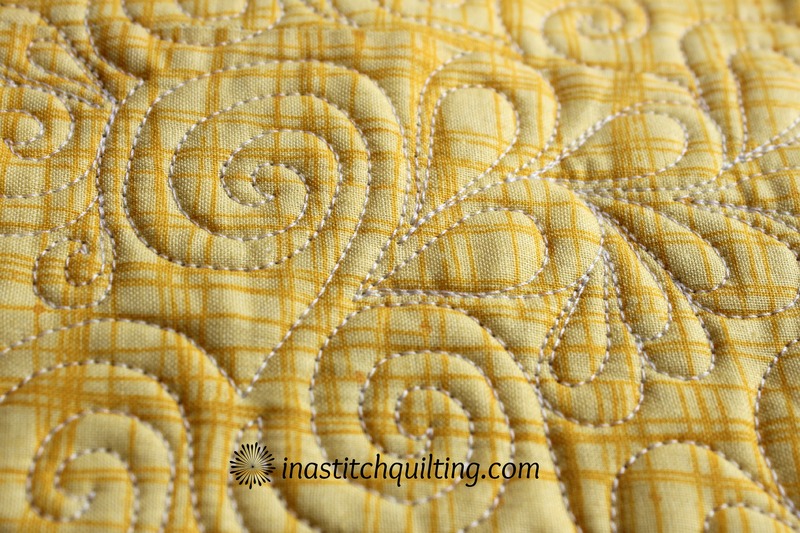 The extra length is needed to properly install the quilt on the machine. The extra inches in width are because the Warm & Natural batting measures 90” wide. To determine the square inches multiply 75 x 90 = 6750 square inches. There is no charge for standard thread. Specialty threads will be charged at a mutually agreed upon rate. 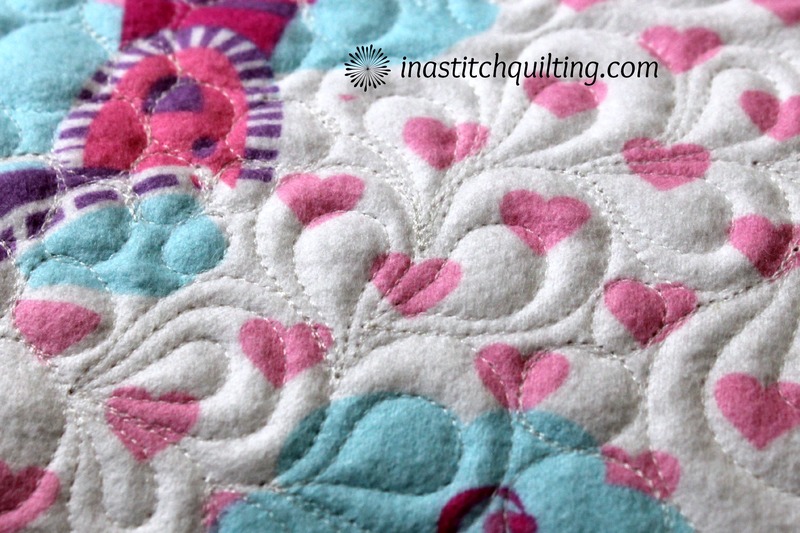 Please make certain your quilt top and backing arrive neatly pressed. If the quilt is not machine ready a $25/hour + sales tax fee may be charged. 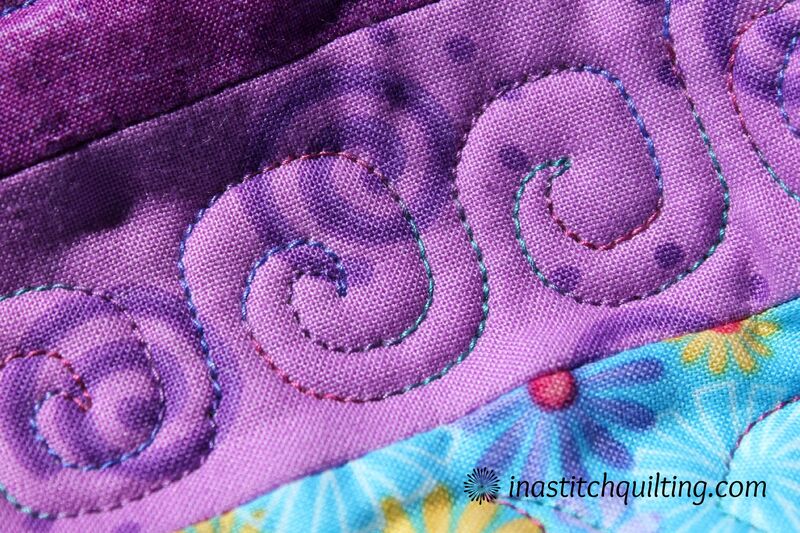 If you would like to receive a quote or have further questions you may contact me at cindy[at]inastitchquilting[dot]com.